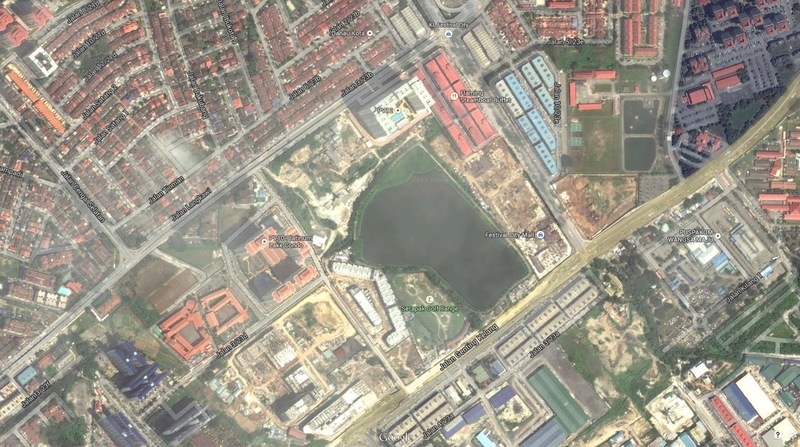 This was a proposal to redevelop about over 13 acres of land in Setapak, Kuala Lumpur which contains a large mining pool and which functions as a water retention pond. 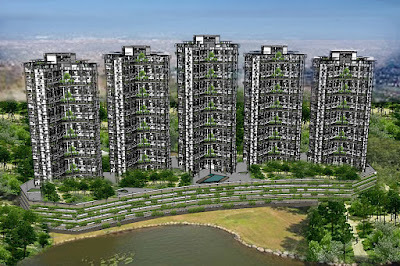 About half of the plot is below water surrounded by about 6.5 acres of land that can be developed. 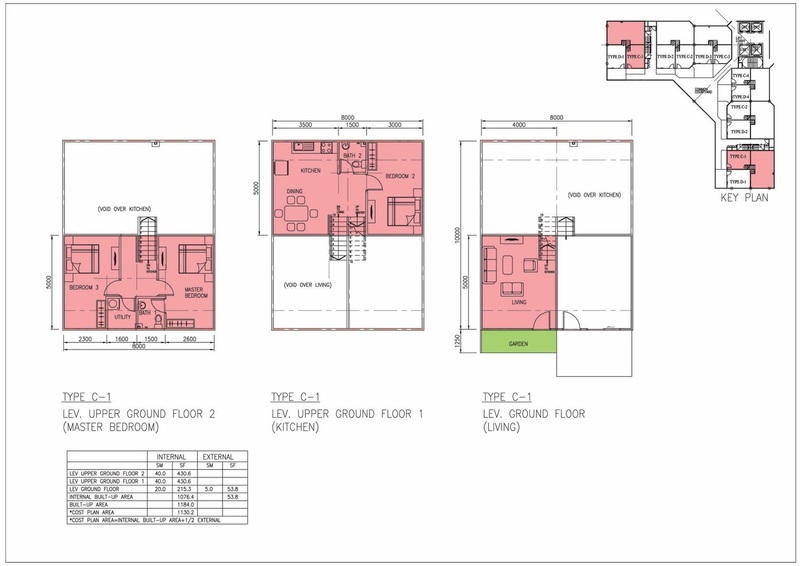 The location is within a well built up area near a major road, high-rise apartment and a commercial centre. The client wanted to realize the value to the land by increasing placing serviced apartments and commercial on it while converting the pond into a public park. 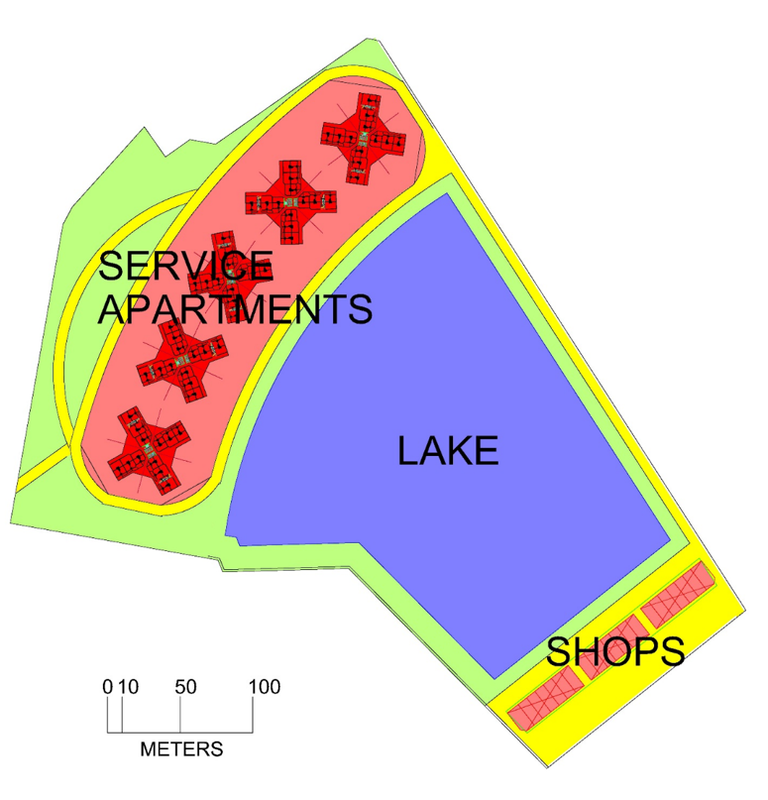 We proposed to meet the potential demand for high-end serviced apartments with club and hotel standard amenities on the land found North of the pond with commercial units along the Southern boundary fronting Jalan Genting Kelang. Five blocks of 30 storey apartments were placed on a 4-storey podium block which houses the apartment facilities and car parking. The apartments were laid out in a modified split-level arrangement with the living room at the courtyard level, the kitchen, dining and bedroom 3 half a floor above or below it, and the master bedroom, bedroom 2 and bathrooms a full floor above or below the courtyard level. 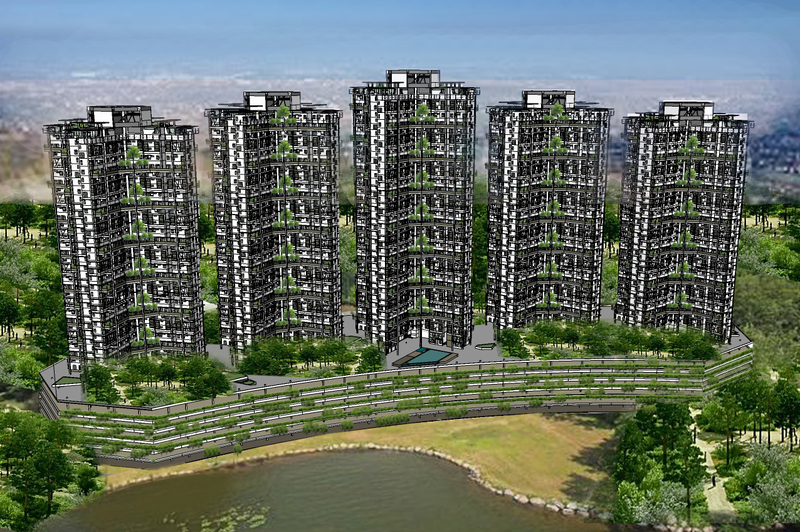 The Danau Kota proposal was only one of many Honeycomb high-rise proposals. 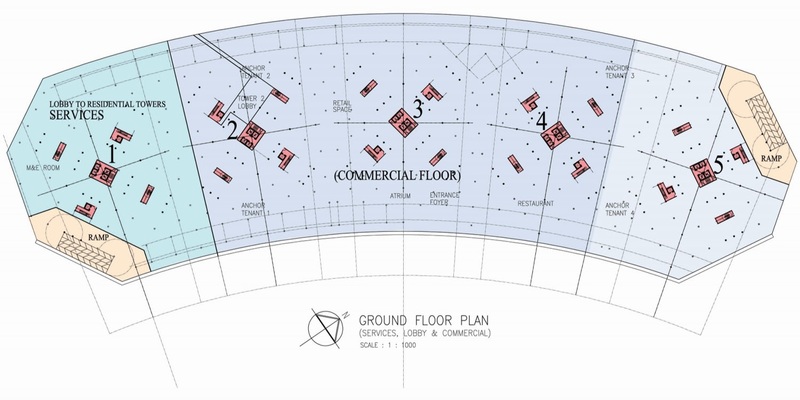 Four years after first developing the high-rise honeycomb idea, we had prepared many proposals but none yet had been taken up by any developer. The model that I had pushed, the X-Plan, was perhaps perceived too luxurious in the provision of courtyards. They were always thought of as being most suitable for luxury condominiums. But, my experience and reputation were in affordable housing, not high-end. I could only tout the X-Plan as being no more expensive than conventional high-rise designs. And there was uncertainty even in in that: developers can take advantage of the savings from eliminating corridors and providing fewer lifts, but will authorities approve higher densities? What would be the cost of providing and maintaining the courtyards and the landscaping? Six storeys high, they were open to the sky to allow even grass to grow. But potential clients asked: would driving rain would be a problem? Isn’t a roofed walkway necessary to connect the lift lobby to the unit? At what cost? And what about the cost of the staircase in each home? 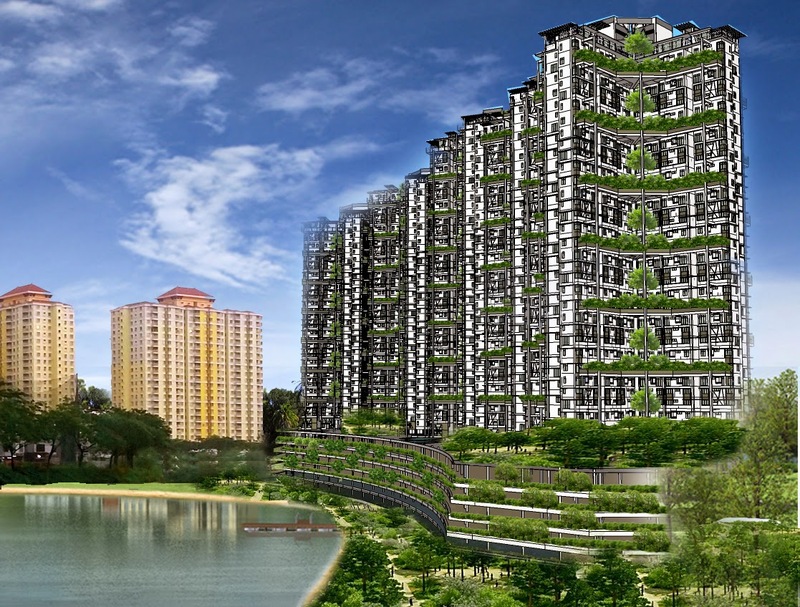 Would the high-rise Honeycomb be suitable for affordable housing in Malaysia? I did not have the answers at that time. I had to simply accept that the idea wasn’t yet sufficiently compelling. I decided that the best way to progress further was to answer that last question. 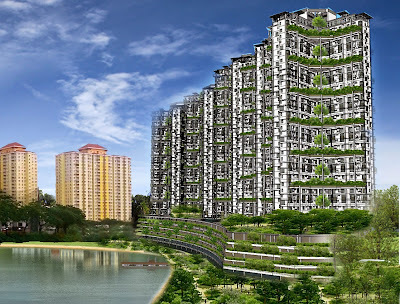 If the ordinary Malaysian can afford to own a Honeycomb apartment, then it would be compelling.